When I showed up to work at WXIA for the first time in 2009, nobody greeted me more warmly than Paul Ossmann. We’d become acquainted when WAGA first hired him in 1988. He became one of the founding hosts of WAGA’s Good Day Atlanta. 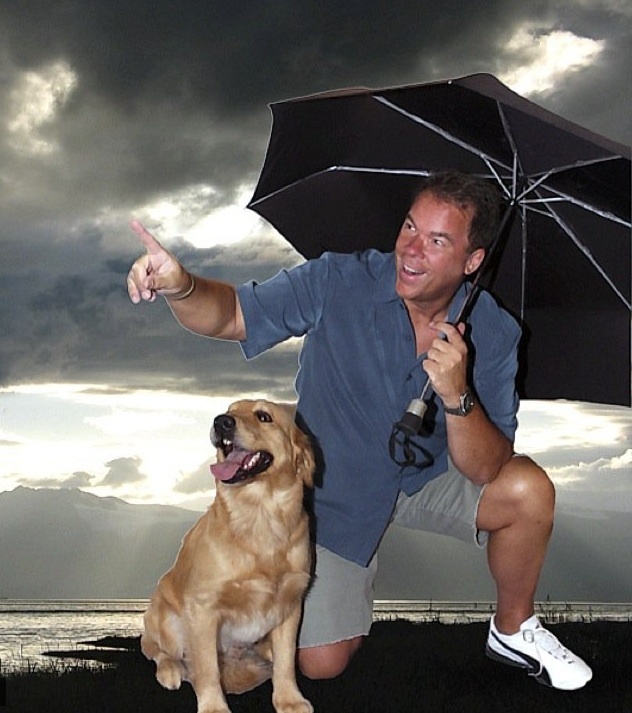 Ossmann jumped ship 13 years ago when WXIA offered him a spot as the station’s main weather guy. WXIA declined to renew his contract, which expired in July. Ossmann informed his coworkers in January. He didn’t want to leave. He was a popular guy in the building, as he was with viewers. Despite the circumstances, he completed his contract by staying engaged in the newsroom. His professionalism never flagged. If he was bitter, he successfully kept it from becoming public. It turned out the loss of his job heightened other nagging problems in his life, as outlined in an interview with Rodney Ho of the AJC. His wife left him, and Ossmann has filed for bankruptcy. The most eye-opening part of Ho’s piece came from public records in bankruptcy court. Ho reports that Ossmann’s annual income was about $225,000. It’s good money, but I’ll bet many folks would have guessed that a big-time weatherman at a station in a top 10 market would have a higher salary. Ho reports that Ossmann took a salary cut in 2008, at a time when Atlanta TV news folks were losing jobs and taking salary cuts across the board. I hear a lot of people gripe about their jobs — the unpredictable hours, the evolving (and sometimes unpredictable) technology, the thinning ranks of staff, the squirrelly attempts to build an audience. But I almost never hear people gripe about their salaries — even after the cuts of 2008. I’m pretty sure it’s because TV news folk consider themselves blessed to be able to continue to work in an industry that remains interesting and dynamic. If Ossmann was earning $225K, you can imagine where those of us with much lower profiles fall on the salary scale. We don’t make big money. We have debt. I drive a 2002 Honda Accord. A veteran on-air colleague is currently looking for a new/used family car, and insists that $5000 is all the family can afford. At the same time, I see a lot of fancy expensive cars in the parking lots of local TV stations. I think some folks feel that they have to keep up appearances: I’m in TV. I must carry myself accordingly. I’m guilty of that sometimes. If you don’t carry yourself with a bit of swagger, you may be taken less seriously. That’s not limited to TV, either. By the way, ebay is a great place to purchase new, expensive suits that aren’t expensive. I suspect that Ossmann’s replacement, Mike Francis, will be a great success in this market. As WXIA brought in Francis, it gave Ossmann as graceful an exit as possible. He got a nice on-air tribute on his last day. Many TV stations might have been inclined to allow an involuntarily separated anchor to simply slip off, unacknowledged. The onair sendoff was a tad awkward yet very decent and humane. Because I was on vacation, I missed the newsroom sendoff. I understand it was very heartfelt. Ossmann departed with a lot of class, and a lot of personal issues. He told Ho he’s getting a real estate license, but the dude was made for TV. I’m rooting for him to make a comeback, and I know I’ve got plenty of company. The first comment will be the four thousandth comment on this blog. But I’m not making it easy! I’m disinclined to accept blunt-force WXIA management-bashing comments on this post. Please strive to make clever, thoughtful comments. Or make it rhyme! Feel free to clobber me, of course, unless it’s done to backhandedly bash my bosses. I’m on to your game! Save the ugly crapola for the AJC blog. And as always, thank you for reading LAF. This entry was posted in WAGA, WXIA on August 14, 2011 by live apt fire. I don’t know Paul Ossmann, but I’ve only heard good things about him, he seems to be well known and well liked, and, though I haven’t actually checked, I suspect he was as accurate as any other meteorologist. Moreover, I’m very sorry to hear, first from mutual friends and then in Rodney Ho’s blog, that he’s going through such a hard time. Many, many of our media friends are in roughly similar situations these days. TV news has always been a brutal business — especially for on-air talent. It’s not a profession anyone goes into if job security is a top priority. More often than not, it’s nomadic… with reporters staying in a market for a year or two or three before moving on to another one… or leaving to join a P.R. firm or sell hot tubs. Atlanta probably has more exceptions to that rule than just about any other place — i.e., reporters and anchors with significant longevity. Even so, you know, or should know, from Day #1 that you’re living on borrowed time. It’s a cliche, but also a truth, that there are only three things a new news director can do to try to improve ratings: Change the Set, Change the Graphics Package, and Change the Anchor Team. Most news directors slowly bring in people who have worked for them in the past, and everybody is always nervous. Only since the advent of the internet do viewers even have a clue what’s actually happened. In days past, we used to get heavily promoted anchors and reporters, and then, suddenly, they’d disappear without explanation. This cycle is ugly and sad… confusing for viewers… and probably even self destructive for the stations. But that’s TV news. Enter at your own risk. It seems inevitable that people always think that you’re making more money than you really are and that you are worth more than you really are because people hope that that is true. But it’s all just numbers. I look at this blog after having watched the first twenty minutes of “Sunset Boulevard”, and you’re reminded of the fragile and transitory nature of life. People come and people go, careers rise and fall, and there are those who witness it all, but in the end, it’s your work that stands the tests of time. It sounds so old fashioned, so passe, but it is still the truth. If you do your work well, if you do your job well, that’s pretty much all you’ve got in a lot of businesses. It’s the currency of so much of modern media, preoccupation with who’s up and who’s down, but if you’ve done a good job, then there is some sort of satisfaction in that. A lot of us are destined to work in obscurity, and that’s that. At the same time, if you look at someone like Paul Ossmann, who worked well and did so cheerfully no matter what the adversity, you find yourself hoping that things will turn out all right, because they’ve earned it. Regardless of the outcomes, a lot of us are silently hoping that things will turn out well for Paul, because he’s worked for it. A lot of us are alienated with what our culture has become, but hard work and a cheerful attitude has to count for something. 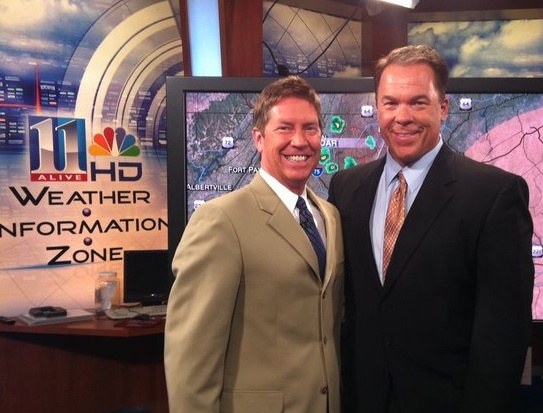 We have always enjoyed watching Paul on 11Alive. His presence is missed on air. I was fortunate enough to be a guest on 11’s morning show years ago when Paul was the host, and was pretty nervous being on live TV, but Paul’s easy-going friendly personality made it pretty easy to get through it and actually enjoyable. It was genuine, even off-air. We wish him the best through these tough times. Paul is a class act, no question about it. Is he navigating difficult challenges right now? No question about that either. Hopefully, Paul has learned (or is instinctively learning) that on a much higher level than the ego-driven mundane worlds of television and radio, that his temporary set back presents an invaluable opportunity for growth that passes far beyond man’s usual grasp of life. In due time it will manifest itself. Paul seems to be the kind of man who gets it. If he does, he’s going to make out beautifully. Wow, $225,000 to stand in front of a blank screen and read the weather! How much do anchors get? Can you publish all the salaries at 11alive? I really liked watching Paul on 11, I was disappointed with 11alive that they let him go. I was super unimpressed when I read that Mike Francis had announced where he was going, before 11alive had announced it and thus we all knew who replacement was and that Paul was leaving. Very poorly planned all the way around! After two weeks of watching this new guy I’m searching for a new evening news cast. Considering I’m still looking for a new morning news cast after a shakeup at WAGA in the mornings 8 months ago now I’m lost when it comes to local news. Maybe I should just save time in the morning and not turn on the TV! And in the evening avoid more frustration and watch the weather channel or something. wxia will no longer have me as a viewer. how incredible you are!!!! your replacement is not “Atlanta” material…..I wish you Paul alot of happiness and I’m sure you will help alot of people through these roung times…I too have been bankrupt and had my condo forclosed on….very emotional and sad time…please read below..I heard this from the golf chanel..
Its its not so much what you accomplish in life……. Its what you overcome that proves who you are…..